Free estimates are available on landscape and lawn care service from Suburban Lawnscapes. Please fill out the form with your contact information and the nature of your request, and we'll return your request promptly! 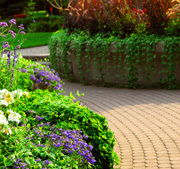 Do you need lawn care service for property located in or around one of the following places? Feel free to contact Suburban Lawnscapes directly by calling (703) 335-1477!